Watch Outbreak Wednesday at 8 and tweet along with public health experts! Much of the public panic about the current ebola situation can be contact traced to the 1995 movie “Outbreak.” This fictional movie is based on the supposedly true story “the Hot Zone” by Richard Preston , though an important new analysis by infectious disease researcher Dr. Tara Smith shows that the Hot Zone has some major factual errors. 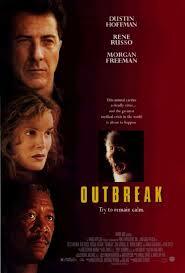 Outbreak can be viewed on Amazon instant video (it costs $2.99 to rent it). To ensure that your viewing is synchronized to the chat, purchase the movie in advance so you can press play at exactly 8 p.m. In addition to fact-checking from public health experts, we’ll also be making our customary snarky commentary, including a drinking game for those who wish to participate. Watch James Cameron's Deepsea Challenge and tweet along with us Tuesday at 8 p.m.! Watch Mega Shark vs. Mecha Shark on Netflix Wednesday at 10 p.m., and tweet along with us!